Orlando Couple’s Counseling | Can Your Relationship be Saved? 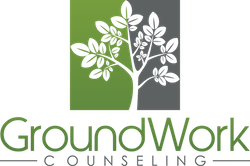 At GroundWork Counseling in Orlando, many individuals seek counseling and therapy for relationship issues. Some people find themselves in dead-end relationships that they are unable to end – Orlando couples’s counseling at GroundWork can help individuals weigh their options and explore relationship dynamics. For couples, there are often many things to take into consideration: kids, housing, pets, family relationships, your history together and a fear of being alone, fear of failing at something, fear of being judged negatively. Our counselors emphasize, it’s important to keep in mind that your relationship should add to the quality of your life, not subtract from it. You may have reached a point in your relationship that finds you seriously debating whether the two of you should stay together or split apart. Whether you are a couple that is married, living together, engaged or dating, whether the you are in a gay or straight relationship, the thought of making a decision can be complicated and difficult for women. This painful ambivalence sometimes leads to inaction in which neither partner makes an effort to turn the relationship around and neither partner has the strength to leave a relationship that has virtually no chance of surviving. If you are a woman asking yourself the above questions, women’s counseling may be a helpful next step. You are unwilling to accept your partner as he/she is. He/she must make some very big changes that he/she is not willing to make. You no longer love your partner, but guilt and a feeling of responsibility is keeping you in the relationship. Thinking about having to spend time with your partner results in an empty feeling for you. The longer you are with your partner, the more you begin to dislike him/her. You no longer respect your partner. There is very little trust left in the relationship. You fear your partner’s abusive behavior. Your partner abuses drugs and/or alcohol. He/she often denies that there is a problem with substance use. You can only stand to be around your partner if you or both of you are high on alcohol or drugs. You feel addicted to the relationship. You are unable to forgive your partner for something that he/she has done. The relationship feels like a heavy burden to you. If you could find someone else, you would end the relationship. You are having an affair and you are unwilling to give the other person up. You feel indifferent toward your partner. Your motivation to try and work things out is very low. You have no desire to grow old together. When you think about not being with your partner, you feel relieved. Your partner has threatened to commit suicide if you leave him/her. Your partner does not fit into your plans for the future. You genuinely want to leave your partner but you feel stuck. If many of the above items are true for you, you may want to ask yourself what would have to happen to get your relationship on a better tract? And more importantly, are you willing to make the changes that are necessary for your relationship to get better? Is your partner? At GroundWork Counseling in Orlando, we offer Orlando Couple’s Counseling to help both individuals, and couples explore these difficult relationship dynamics and help couples and individuals move forward in healthy ways.